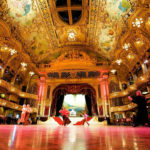 Take to the dancefloor and enjoy a superb afternoon tea in the stunning surrounds of the infamous Blackpool Tower Ballroom. Constructed in 1894, this iconic tower and spectacular ballroom have played host to world class ballroom dancers for over 100 years. 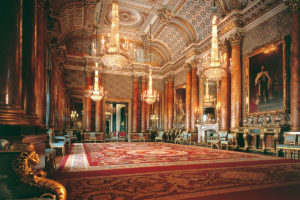 A highlight of the very popular Strictly television dance show, you too can experience the magic of this dazzling dance floor. 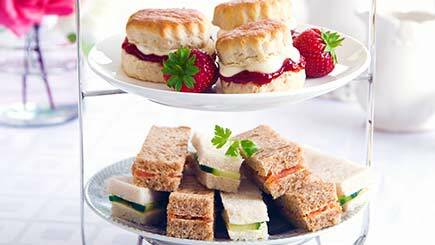 Your traditional afternoon tea is served on an elegant cake stand. 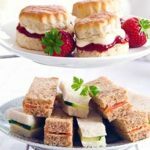 Offering a formidable selection of fresh, seasonal sandwiches and delicious cakes and homemade scones served with sweet jam and cream, this is a lovely afternoon tea experience to be enjoyed in the company of friends and family. 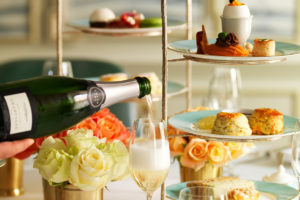 Your afternoon tea is served with your choice of tea and coffee. 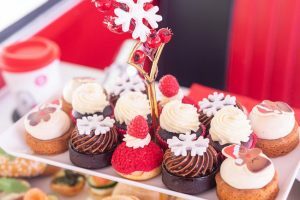 As you tuck into your tasty afternoon tea, the famous Wurlitzer organ fills the air as the glitter ball sparkles overhead. You can sit back, relax and watch the dancers twirl gently past, or if you are in the mood, why not display your own fine footwork for others to admire. 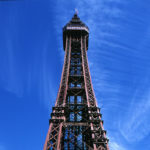 This Blackpool Tower afternoon tea experience would make a fabulous gift for any lover of ballroom dancing. Available to buy from our partners at Virgin Experience, you can buy it as a gift voucher to be used within 9 months of purchase. Priced at £50 for TWO, why not make someone’s day with this very special gift experience. To book or for further information, simply select the Book Now button.